There are an estimated 500-million frontline staff workers around the world in retail stores, hotels, restaurants, manufacturing and other service-related industries. These employees typically don’t have their own office, desk or computer—making it hard to access and share information important for the workday. Far too often, these workers rely on manual processes and outdated tools—cumbersome creation and printing of paper schedules, bulletin boards crammed with notes and a flurry of phone calls and text messages to cover shifts. Microsoft StaffHub is here to help. We’re pleased to announce the worldwide general availability of Microsoft StaffHub—a new application for Office 365 designed to help staff workers manage their workday—with schedule management, information sharing and the ability to connect to other work-related apps and resources. 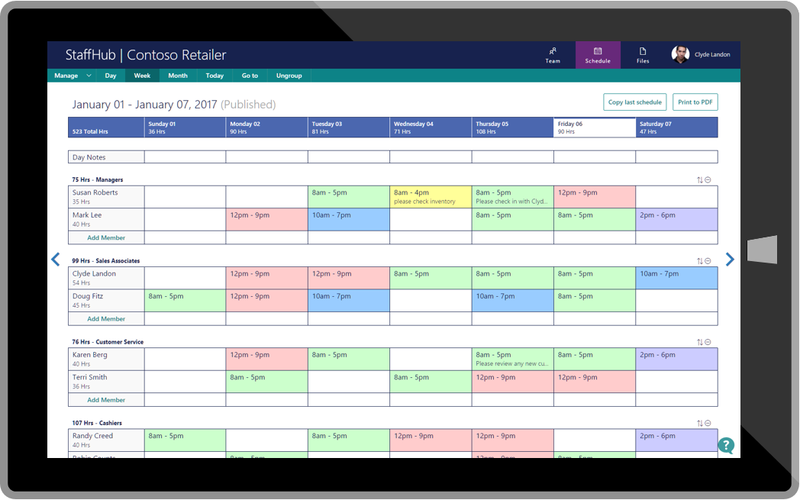 Microsoft StaffHub makes it easy for managers to create, update and manage shift schedules for their team, streamlining what has been a labor-intensive process. Employees have access to all their shift information, including the ability to easily swap shifts with others right from the Microsoft StaffHub mobile app. No more having to go into the breakroom at work to look at the bulletin board. Managers create, update and manage shift schedules for the team. 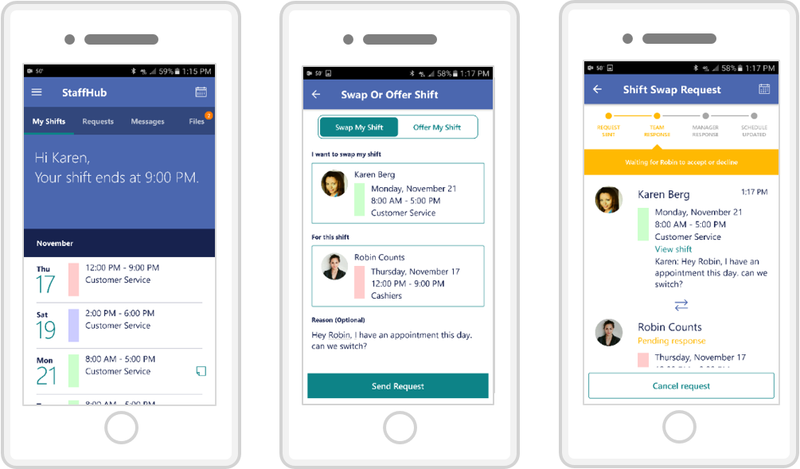 Employees view their upcoming shifts at a glance on their mobile device and can request to swap a shift with someone else. The app home screen provides a summary of upcoming shifts as well as any important notes. Employees can also see who else is scheduled for the day, which is useful if they want to know who they’ll be working with or if they want to swap shifts. With Microsoft StaffHub, managers can quickly distribute important information to their team, such as policy documents, news bulletins or videos. Managers also have a fast and reliable way to send quick messages to team members. For example, to let an employee know “there is a spill on the floor” or “the regional GM is arriving in 20 minutes,” simply tap the employee’s name and type a message. Employees can also send messages directly to each other or to the entire workgroup. Managers select the content they want to distribute to their team. Employees can view the files on the mobile app. Companies often use multiple systems and tools to help manage their workforce, and we want to make it easy for Microsoft StaffHub to connect to these existing systems. We’re pleased to announce that StaffHub will support connections to Kronos, a leading provider of workforce management and human capital management cloud solutions. Initially, this integration will enable managers to import individual and team schedule information from Kronos’s Workforce Central platform directly into Microsoft StaffHub. This functionality will initially be in private preview to a small group of Office 365 and Kronos customers. Stay tuned for more! 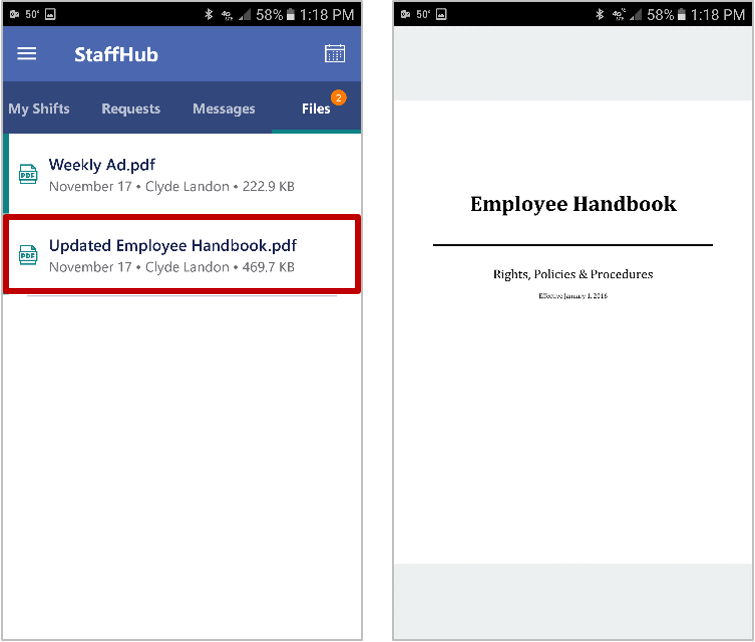 Microsoft StaffHub also supports the ability for admins to define custom links for workers to view in the mobile app, which can point to important resources or sites, such as HR systems for reporting time off, or to custom applications, built with tools such as Microsoft PowerApps. Managers can also export team schedule information to a .csv file for use in other systems. 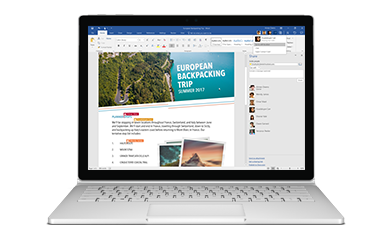 Microsoft StaffHub is enabled today for Office 365 customers with a K1, E1, E3 or E5 plan. Team managers can sign in at staffhub.ms, and employees can download the app on iOS or Android. Q. Which Office 365 plans include Microsoft StaffHub? A. StaffHub is available as part of the Office 365 K1, E1, E3 and E5 plans (including the Education version of these plans). Q. How can I access Microsoft StaffHub? A. Microsoft StaffHub is initially available on the web as well as for iOS and Android apps. It is currently available in the following 15 languages: Chinese-Simplified, English (U.S.), Spanish, Russian, Japanese, French, Brazilian-Portuguese, German, Korean, Italian, Chinese-Traditional, Dutch, Turkish, Swedish and Danish. Q. Does each team member need to have an Office 365 account to use Microsoft StaffHub? A. Yes, each team member and manager using Microsoft StaffHub must have an Office 365 account. Q. Can I turn off Microsoft StaffHub for my company? A. Microsoft StaffHub is on by default, and IT admins can turn it off for their organization at any time by going to staffhub.ms/admin and setting Enable Microsoft StaffHub to Off.